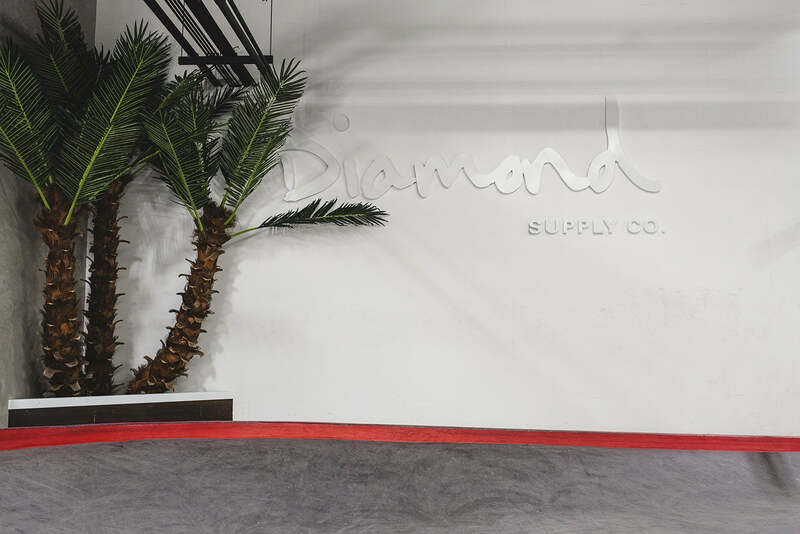 Off the back of his latest collaboration with PUMA which features a selection of footwear and apparel, we sat down with Nicky Diamonds of Diamond Supply Co. at their in-house skatepark located within their Los Angeles HQ. 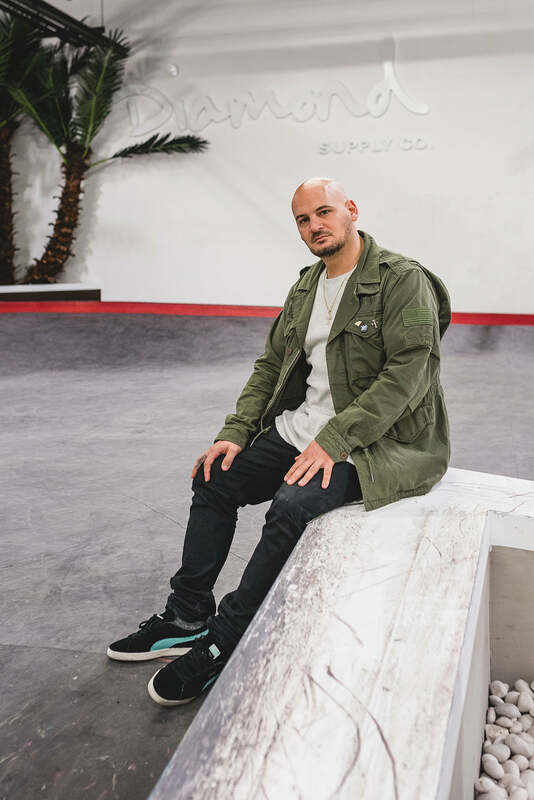 Hi Nicky, thanks for taking the time to talk to us, and congratulations on your PUMA x Diamond Supply Co. collaboration, but before we get into the collection, and for those unfamiliar with your brand, can you give us a bit of background about Diamond Supply Co.? Ok, so pre-1998, before you launched the brand, what were the sort of things that inspired you when you were growing up? Your PUMA Suede Collection last year was really successful, was it a no brainer to work with the brand again and expand the collection? What inspired this new collection and how has it involved from the previous one? Were you excited about being able to work on the other footwear silhouettes and remixing the classic Clyde silhouette? What about the skate team? Do they get involved much during the collaborative process? It must be great to have a team of regular skaters to bounce ideas off of. Obviously skate culture has been such a massive part of your life, both growing up and present day, do you think collaborations between skate stores and sportswear brands like PUMA over recent years have helped the scene reach new audiences? I guess something so obvious is the likes of Supreme and Louis Vuitton; with how far back Supreme go in the skate industry, back then, you’d have never put those two together. I’d ask you what’s next but I read that you’ve opened a new European HQ in Barcelona, congratulations on that, what drew you to that particular city? It was always quite hard to get stuff from the US to Europe years ago, and even now it can still be hard to get certain brands. Thanks for taking the time to talk to us, and all the best for your 20th anniversary! Check out what went down at the launch event for their collaboration on our blog.